Houseflies are annoying, unhealthy pests in every country around the world. 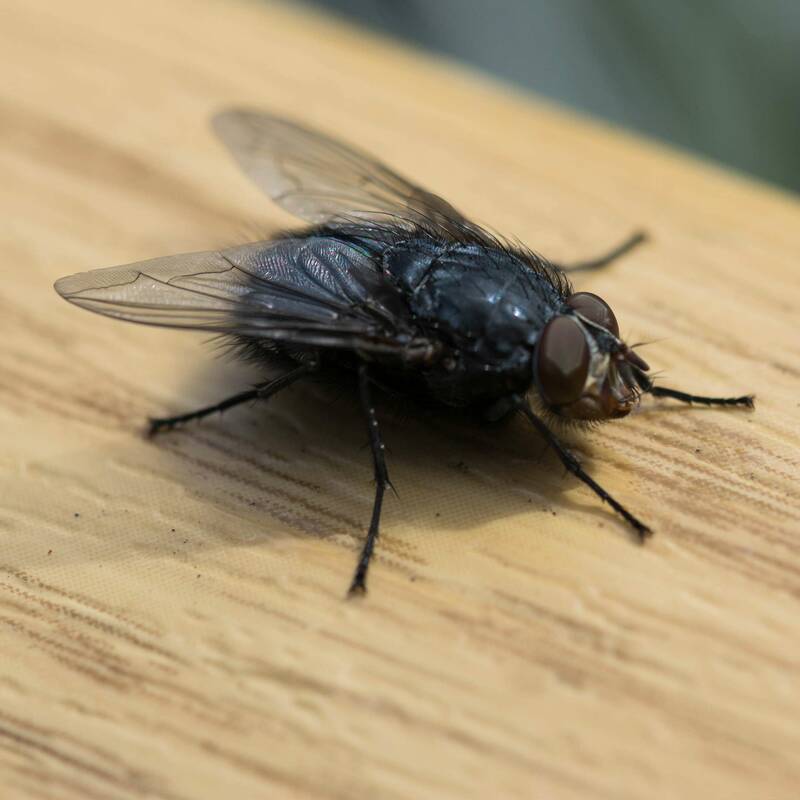 Houseflies carry pathogens in their bodies, which isn’t surprising since they lay their eggs and feed in decaying organic matter, including dead animals and feces. 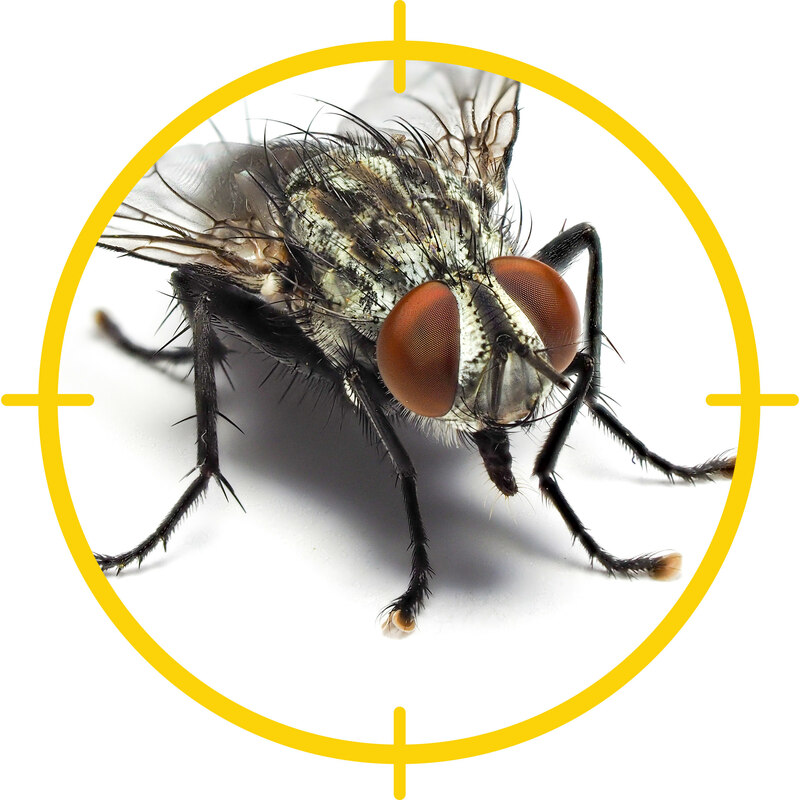 Most homeowners rely on old-fashioned fly swatters to control the flying pests, but if houseflies become a real problem, there are more effective ways to handle the problem. If your housefly infestation remains even after you’re taken steps to discourage them, you may need stronger weapons. Fly glue traps or ribbons are good choices in areas where chemicals aren’t desired. Replace traps and ribbons frequently. Pheremone traps work by attracting flies to a sticky surface where they are unable to escape. The traps are safe for home use and won’t harm people or pets. There are no unpleasant odors. Contact insecticides, including pyrethrin-based sprays, are aerosol products that knock down flies in a hurry; however, they won’t provide long-term relief. Residual insecticides are longer-lasting solutions that work well around entry points, including around window casings and doors, and on window screens. 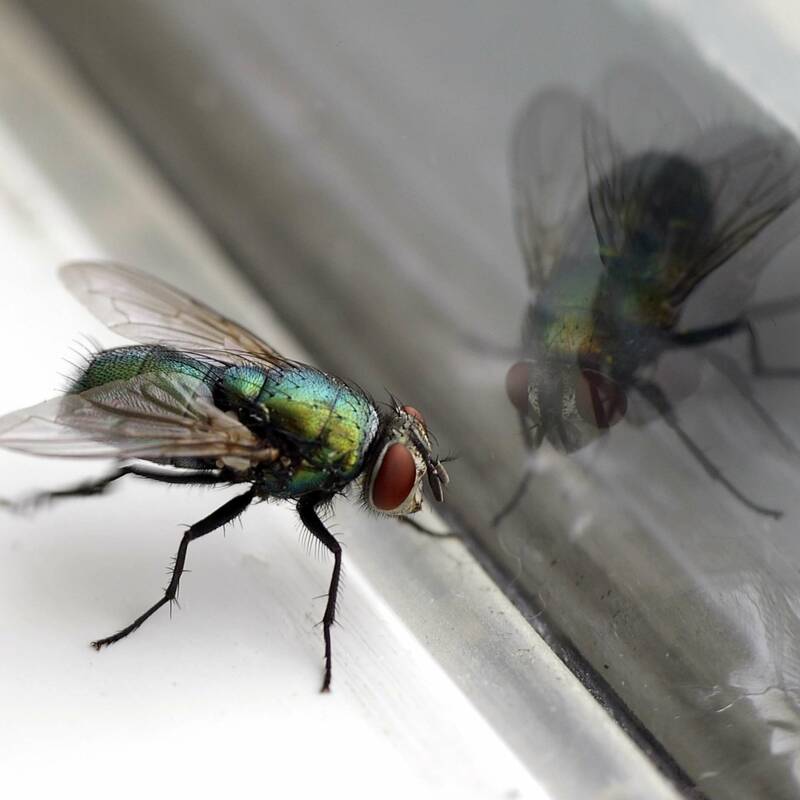 Flies may hang around your house no matter what you do, but careful sanitation and exclusion can keep their numbers in check. Cover garbage cans securely. Empty cans frequently and scrub as needed to avoid stuck-on food and odors. Keep perishable food in the refrigerator. Store dry food in sealed containers. Don’t let dirty dishes pile up in the sink. If you have pets, pick up waste regularly and dispose of it securely to eliminate odors. Store their food in sealed containers. Be sure all screen doors and window screens are in good repair.